Setting NEW standards in technology advancement, TKs state of the art Platinum sticks are built with a high Carbon Nano tube configuration, and Zero Glass fiber Rock Kevlar toe reinforcement. The new highlight of the two upper level Platinum Sticks is the foam filled core, a first in Hockey. Setting NEW standards in technology advancement, TKs state of the art Platinum sticks are built with a high Carbon Nano tube configuration, and Zero Glass fiber Rock Kevlar toe reinforcement. The new highlight of the two upper level Platinum Sticks is the foam filled core, a first in Hockey. Another impressive aspect of these sticks, is the use of DynanoTex Spread Roving technology. 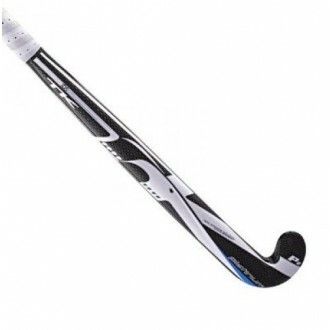 This is not only a dream, the technology is visible on the side of the stick, a chequer board look. This is the DynanoTex Technology. Shape: Late Bow Evenly balanced with a 25mm bow, the apex of which is moved towards the head to create greater drag force and sharper angles in the lower section of the stick. This shape principally aids dynamic ball control and multi-directional dribbling as well as drag flicking and aerial passing, but still performs basic ball movement skills well.